4WD, -Priced below the market average!- Low miles for a 2013! Navigation, Back-up Camera, Bluetooth, Heated Seats, Auto Climate Control, Leather Steering Wheel Satellite Radio, Steering Wheel Controls, Sunroof/Moonroof, Seating, Parking Sensors AM/FM Radio Rain Sensing Wipers DVD Player Park Distance Control ABS Brakes Satellite Radio Call to confirm availability and schedule a no-obligation test drive! We are located at 777 Taunton Ave, East Providence, RI 02914. Value priced below the market average! 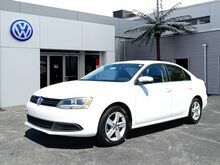 This 2014 Volkswagen Jetta TDI, has a great Candy White exterior, and a clean Titan Black interior! -Only 57,711 miles which is low for a 2014 ! 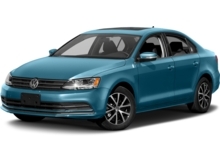 This model has many valuable options -Bluetooth -Satellite Radio -Front Wheel Drive -Power Locks -Keyless Entry -Power Windows -Steering Wheel Controls -Cruise Control -Leather Steering Wheel Automatic Transmission -Tire Pressure Monitors On top of that, it has many safety features -Traction Control Save money at the pump, knowing this Volkswagen Jetta gets 42.0/30.0 MPG! Call to confirm availability and schedule a no-obligation test drive! We are located at 777 Taunton Ave, East Providence, RI 02914. -Priced below the market average!- Low miles for a 2015! Navigation, Bluetooth, This 2015 Volkswagen Jetta 2.0T GLI SEL, has a great Pure White exterior, and a clean Titan Black/Carbon interior! 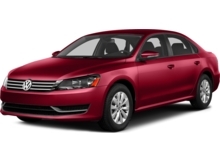 Leather Steering Wheel Satellite Radio, Steering Wheel Controls, Sunroof/Moonroof, AM/FM Radio This Volkswagen Jetta gets great fuel economy with over 32.0 MPG on the highway! ABS Brakes Satellite Radio Front Wheel Drive Call to confirm availability and schedule a no-obligation test drive! We are located at 777 Taunton Ave, East Providence, RI 02914. Value priced below the market average! This 2015 Volkswagen Passat 1.8T SE w/Sunroof & Nav, has a great Candy White exterior, and a clean Titan Black interior! This model has many valuable options -Navigation -Sunroof -Bluetooth -Satellite Radio -Fog Lights -Front Wheel Drive -Security System -Power Locks -Keyless Entry -Power Windows -Steering Wheel Controls -Cruise Control -Leather Steering Wheel Automatic Transmission -Tire Pressure Monitors On top of that, it has many safety features -Traction Control Save money at the pump, knowing this Volkswagen Passat gets 36.0/24.0 MPG! Call to confirm availability and schedule a no-obligation test drive! We are located at 777 Taunton Ave, East Providence, RI 02914. LOW MILES, Value Priced below the market average! -Leather -Bluetooth -Auto Climate Control ABS Brakes -Power Seat -AM/FM Radio and many other amenities that are sure to please. 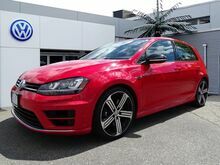 Based on the excellent condition of this vehicle, along with the options and color, this Volkswagen Golf R is sure to sell fast. -Priced below the market average!- Low miles for a 2015! Back-up Camera, Bluetooth, This 2015 Kia Sorento LX, has a great Ebony Black exterior, and a clean Black interior! Heated Seats, Satellite Radio, Steering Wheel Controls, AM/FM Radio Park Distance Control ABS Brakes Satellite Radio Front Wheel Drive Call to confirm availability and schedule a no-obligation test drive! We are located at 777 Taunton Ave, East Providence, RI 02914. Value priced below the market average! 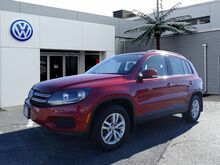 This 2015 Volkswagen Tiguan S, has a great Pepper Gray Metallic exterior, and a clean Black interior! -Only 30,363 miles which is low for a 2015 ! This model has many valuable options -Backup Camera -Bluetooth -Satellite Radio -All Wheel Drive -Multi-Disc Changer -Security System -Parking Assist -Power Locks -Keyless Entry -Power Windows -Steering Wheel Controls -Cruise Control -Leather Steering Wheel Automatic Transmission -Tire Pressure Monitors On top of that, it has many safety features -Traction Control Call to confirm availability and schedule a no-obligation test drive! We are located at 777 Taunton Ave, East Providence, RI 02914. 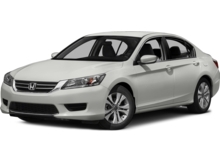 AWD, -Priced below the market average!- Low miles for a 2016! 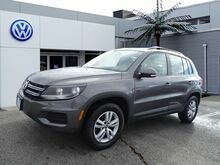 Back-up Camera, Bluetooth, This 2016 Volkswagen Tiguan S, has a great Pepper Gray Metallic exterior, and a clean Charcoal Black interior! Heated Seats, Leather Steering Wheel Steering Wheel Controls, AM/FM Radio Rain Sensing Wipers Park Distance Control ABS Brakes Call to confirm availability and schedule a no-obligation test drive! We are located at 777 Taunton Ave, East Providence, RI 02914. -Only 16,669 miles which is low for a 2016 ! This model has many valuable options -Bluetooth -Satellite Radio -All Wheel Drive -Fog Lights -Security System -Power Locks -Keyless Entry -Power Windows -Rain Sensing Wipers -Steering Wheel Controls -Cruise Control -Leather Steering Wheel Automatic Transmission -Tire Pressure Monitors On top of that, it has many safety features -Traction Control Call to confirm availability and schedule a no-obligation test drive! We are located at 777 Taunton Ave, East Providence, RI 02914. *Non-VW Owners ask dealership for details *These estimates reflect new EPA methods beginning with 2008 models. Your actual mileage will vary depending on how you drive and maintain your vehicle. Actual mileage will vary with options, driving conditions, driving habits and vehicle's condition. Mileage estimates may be derived from previous year model.